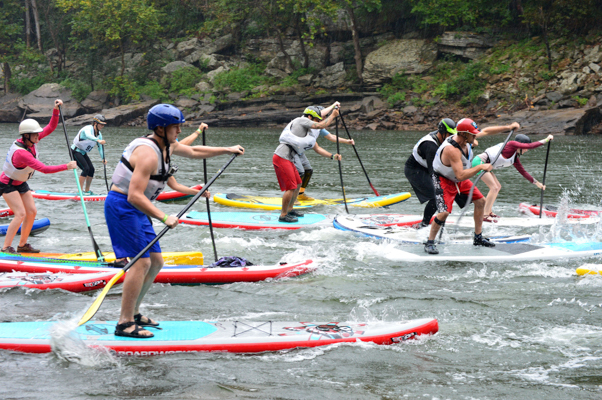 The New River Gorge Stand Up Paddle Board Race was the first of its kind 6 years ago, and still is! 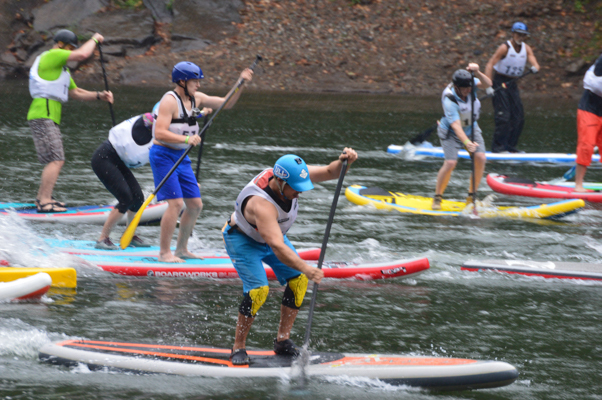 The race involves two legs and you have to use the same board for both races. 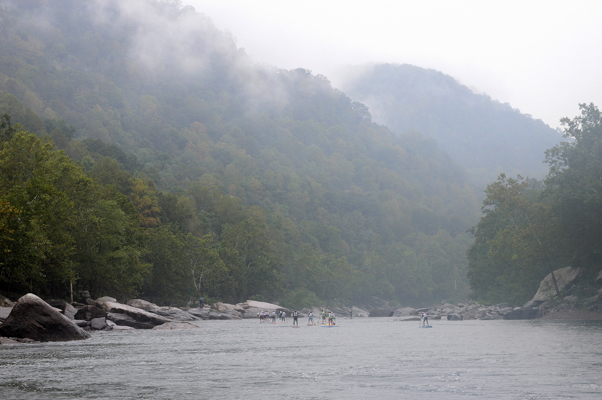 The two race events highlight the deep channels of the New River lined with house size boulders nestled under the rusty rainbow of the New River Gorge Bridge. 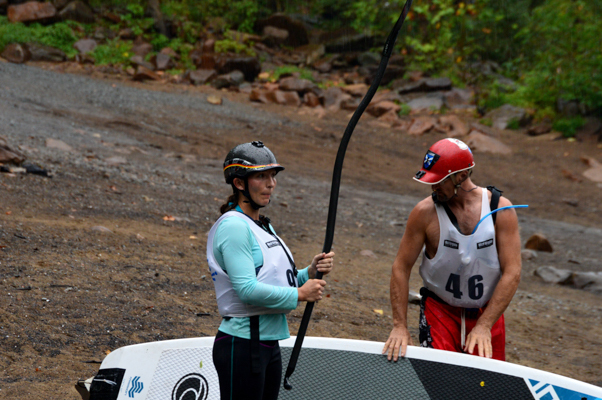 The winner is determined by totaling the times for both races-the lowest time is the overall champion! 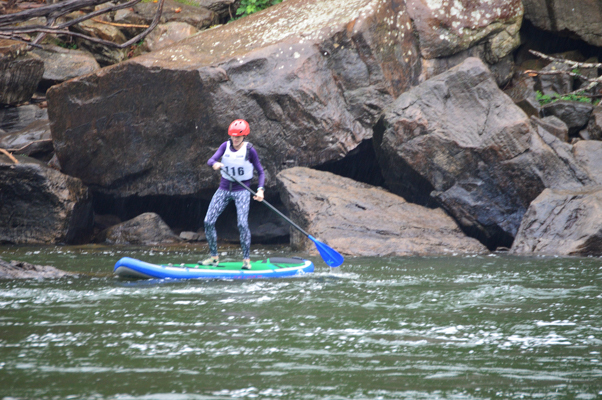 The first race is an upstream paddle against the current navigating through a Class 1 rapid, around a buoy and back to the starting beach. Some years it takes 25 minutes and other years 15 depending on water levels. 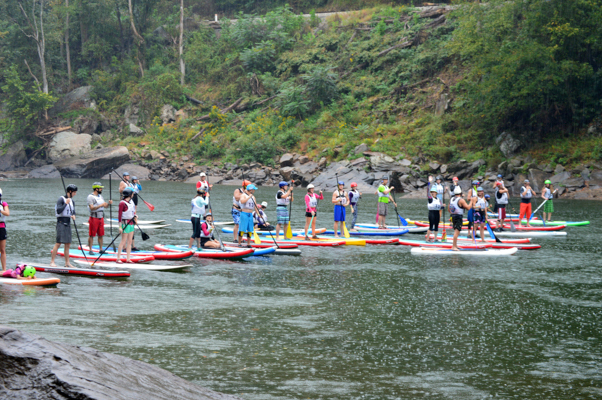 The second race is the highlight of the event. 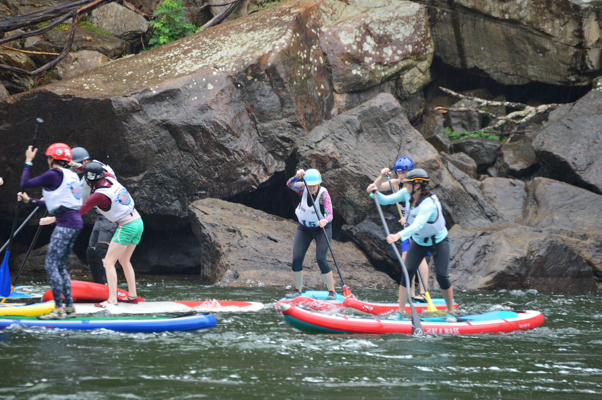 A downriver race through whitewater rapids ranging in class 1-3+. 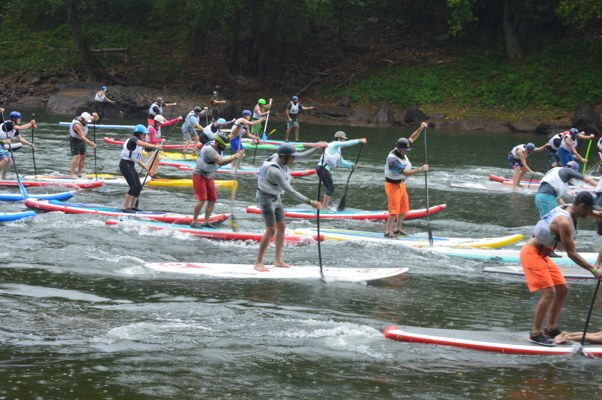 Spectators enjoy the mass start where the chop generated at the starting line sends a unique shock through the small mouth bass and creates an interesting challenge as racers jockey for position to approach the first rapid. 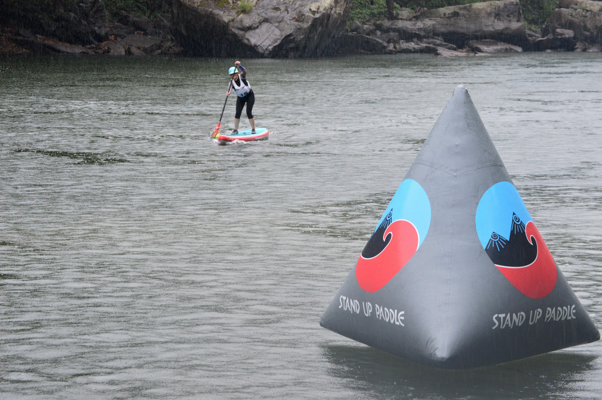 Incorporate some buoy turns, a couple more rapids, and long pools for passing and you have a competition testing all SUP paddling skills. 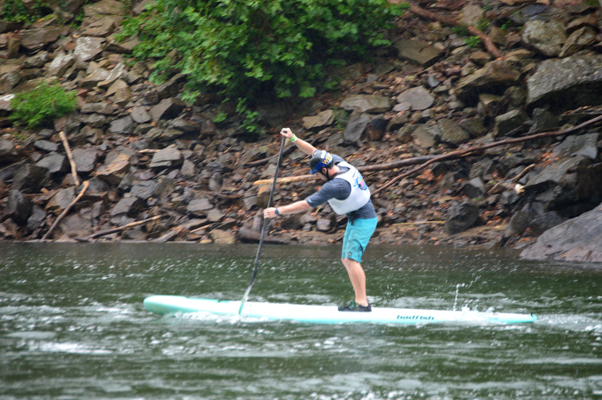 Racers come for the taco snacks, SUP paddler designed t-shirts, moonshine, and dinner included with entry fee, but all will agree they come for the community. 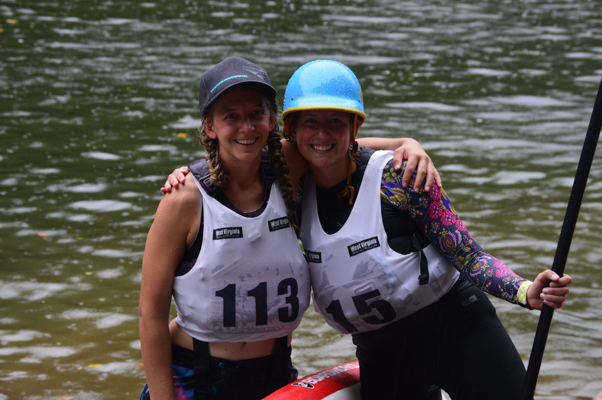 Friendships are made quickly and turn into extended surf days on the Gauley River. 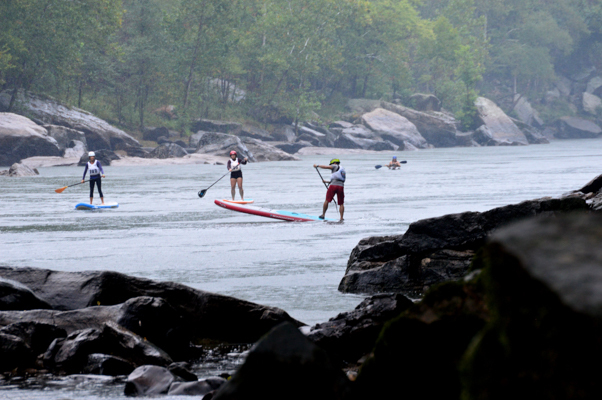 This event is tucked into the heart of Gauley Season with guaranteed river levels and the largest paddling festival in the nation, Gauley Fest. 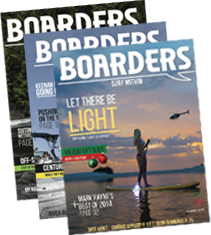 Each race entry and every sponsorship contributes to a donation to the local youth outdoor club, the Outdoor Adventure 4-H Club of Fayette County, WV. This group of caring teachers take students after school on safe, educational trips exploring rocks, rivers and trails. 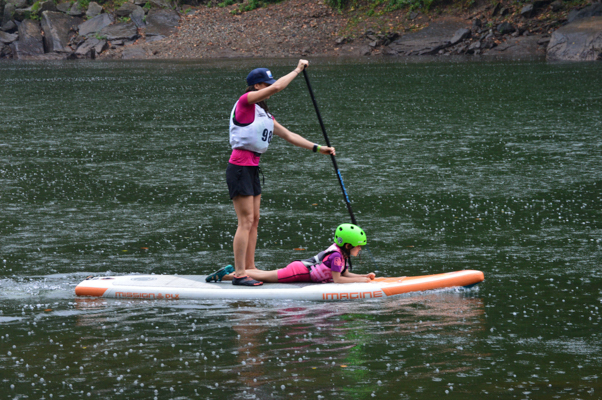 The date has been set for the 2017 New River Gorge SUP Race with a new addition, a kid’s race! 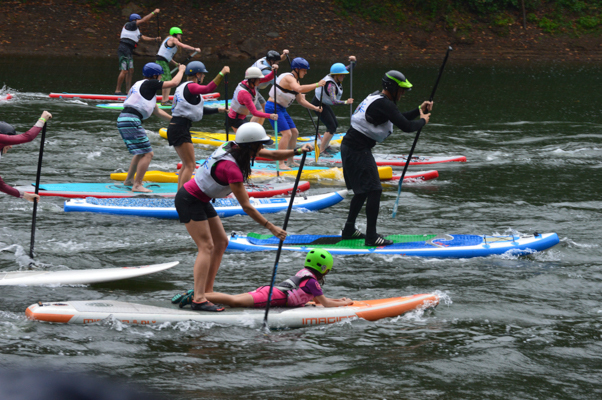 September 17th, 2017 will be the SUP Race on Sunday of Gauley Fest weekend. 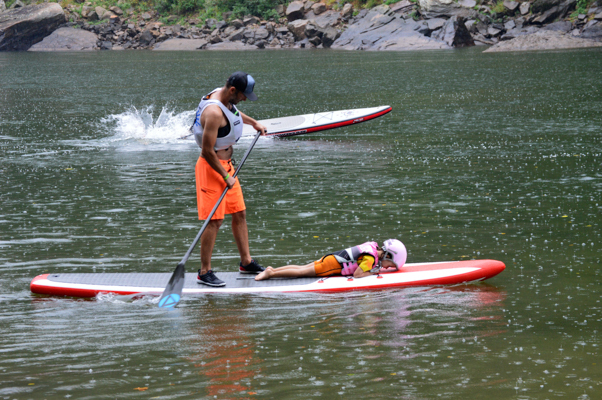 Details are still coming together for a Big Kid Little Kid Race (parent with child on board) and Kids SUP Race (kids on their own boards). Both kids’ races will be free! 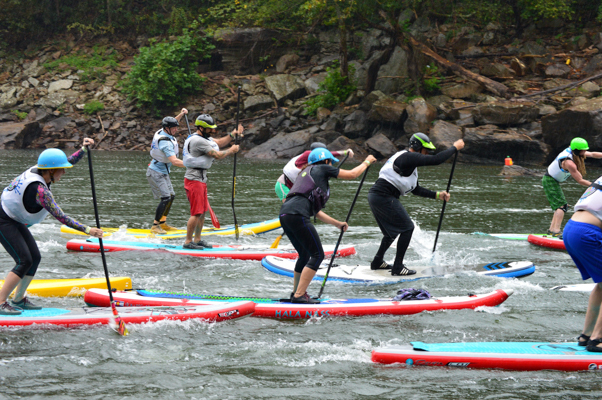 Learn more at www.nrgsuprace.com and the Facebook event page: New River Gorge SUP Race 2017.